With November’s arrival, people start to seriously think about the winter months ahead. And just like you make sure your car is winter road-ready, you should start to prepare your home for the colder months ahead. An area that frequently gets neglected is, unfortunately, the home comfort system. One very important – yet very simple – measure you can take during the winter to ensure it’s running its best? Change your filter! System Efficiency: It only stands to reason that your furnace will have to work harder if the airflow is impeded. A dirty filter will keep air from flowing freely, and the air flowing through your system will likely be dirty. 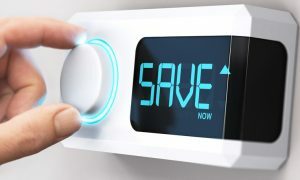 And that makes your furnace operate at lower efficiency – costing you more on your energy bills. 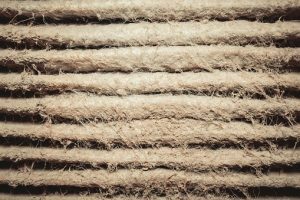 Smokers in the House: If you have smokers in your house, you should change your furnace filter more often. Cigarette odors and some of the leftover contaminants from smoking linger in your filter. If your filter is clogged with them, the air that circulates through your home will be filled with them too. Fur Babies: When you have pets, you already know that their fur goes virtually everywhere. So it shouldn’t be a surprise that dog and cat hair also can end up in your HVAC system. A good air filter helps to keep the fur at bay, but once it gets full – usually in about a month – it needs to be changed. Allergy Sufferers: Having clean air to breathe is important for everyone, but for allergy sufferers or those with respiratory concerns, it’s a vital necessity. As a result, making sure your furnace filter as changed as soon as it is dirty can help you keep fresher air circulating in your home this winter. Furnace Performance: It’s simple – a furnace with a clean filter just runs better than one without. The Department of Energy (DOE) says changing your furnace filter once a month is important – it’s part of the maintenance routine that will keep your furnace operating at top performance this winter, and for years to come. Need help with your filter change? Call Family Danz. As you can see, a simple filter change can keep the air in your home cleaner, helping you avoid health concerns and furnace issues. Not sure how to do it? Just give Family Danz a call, and we’ll be happy to show you how, or change your filters for you. Simply call us at (518) 427-8685. We will be more than happy to assist you. When you need furnace repair for your Saratoga Springs, NY home, you should know you can count on the professionals at Family Danz to help. 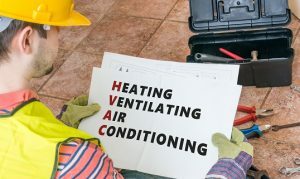 We strive to ensure that the furnace in your home runs effectively and efficiently, no matter how cold it gets outside. We’ve been helping people stay warm for more than 30 years, and we want to help you keep your furnace running perfectly as well. Family Danz is pleased to help people in the Saratoga Springs, NY area get the furnace repair services they need. We stand behind our workmanship and our quality furnaces, and always make your complete satisfaction our priority. We make sure our skilled technicians are highly trained to provide you with the best possible service, whether we’re providing furnace repair in your Saratoga Springs, NY or any other service. Choose Family Danz for the furnace repair you need in your Saratoga Springs, NY home. 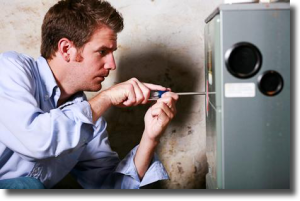 You can count on Family Danz to provide the best furnace repair available in Saratoga Springs, NY. Simply give us a call at (518) 427-8685, and we will be more than happy to assist you. 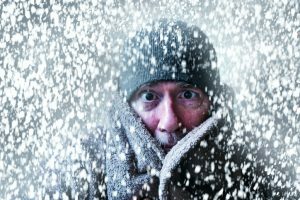 Once winter arrives, most people start to crank up the thermostat and rely on their home’s furnace to provide them with the warmth they need. When you choose Family Danz for the furnace services you need for your Saratoga Springs, NY home, we can help meet your oil or gas furnace needs. 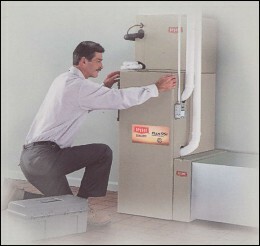 We’ve been helping people get the quality gas and oil furnace products and services they need for more than 30 years. 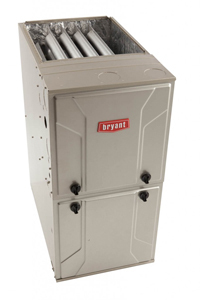 We offer the best furnaces available on the market today, built for reliability, efficiency and durability. We can help with the furnace in your Saratoga Springs, NY home, whether you need maintenance, repair or installation services. You can rely on Family Danz for the furnace services you need in your Saratoga Springs, NY home. When you need furnace services for your Saratoga Springs, NY home, rely on Family Danz to help you. We provide furnace services in Saratoga Springs and in all the surrounding areas, including Albany, Schenectady, Troy and Saratoga. Simply call us at 518.427.8685, and we will be happy to help with any furnace need you may have.